Cross stitch chart. 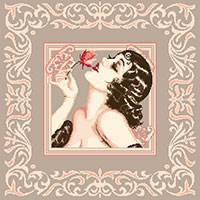 Flapper à la Rose - Retro lady with rose. Cross stitch chart. Young woman wearing a hat of the 20's. Fashion of the roaring twenties. 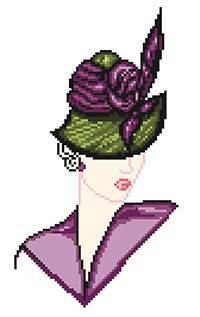 Cross stitch chart. 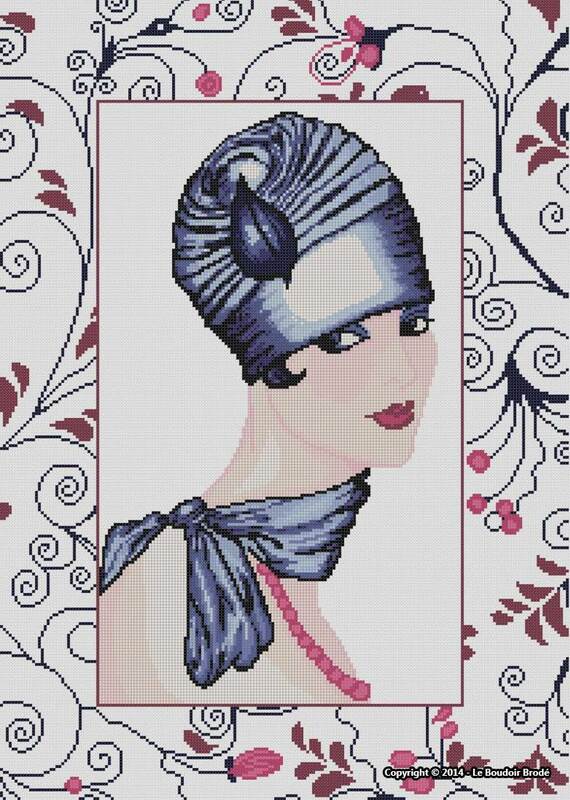 Woman wearing a hat of the 40's..
Cross stitch chart. 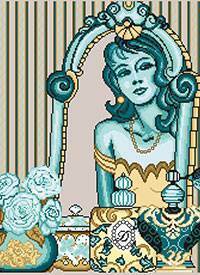 Woman in a decorated with perfume bottles mirror. Gold and turquoise harmony. 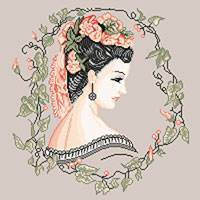 Cross stitch chart. 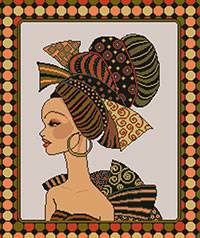 Portrait of an elegant African woman with traditional headdress.